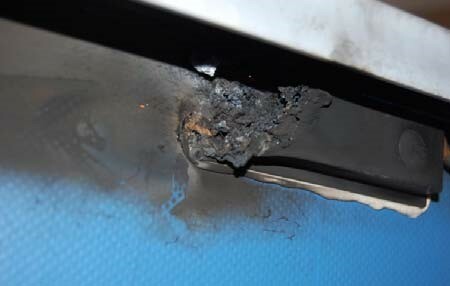 Michael Allagas, et al., v. BP Solar International, Inc., et al. If you have BP solar panels you may be entitled to replacement of the solar panels and/or a new inverter from a class action settlement. Para una notificación en Español, llamar 1-844-360-2767. Important Update: At the Fairness Hearing on December 22, 2016, the Court granted final approval for the Settlement. The Court also approved Class Counsel's request for fees and costs. Copies of the Court's orders are available on the Court Documents page. A Settlement has been reached in a class action lawsuit against BP Solar and Home Depot involving solar panels manufactured between 1999 and 2007 with an S-type junction box (“Class Panels”). You may be entitled to benefits from a $45.33 million common fund or a separate, $20 million claims-made settlement. 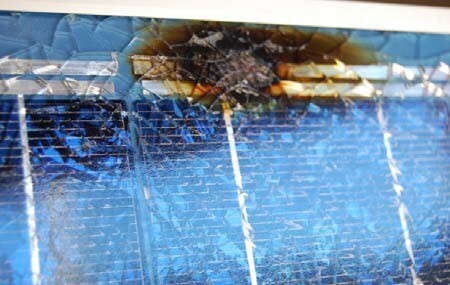 The lawsuit claims these panels are defective and prone to junction box failures which could cause burn marks at the junction box, shattered glass, and a potential fire hazard. BP and Home Depot deny these claims. 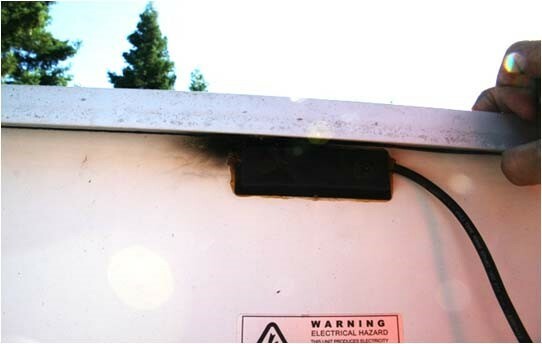 Clockwise from upper left: burn mark and shattered glass on front of panel; burnt junction box on back of panel; junction box damage on back of panel; and burn mark (without shattered glass) on front of panel. The Settlement includes anyone in the United States who: (1) purchased certain BP solar panels for installation on a property, or (2) currently owns a property on which these panels are installed and, in either case, who still owns some or all of the BP solar panels. 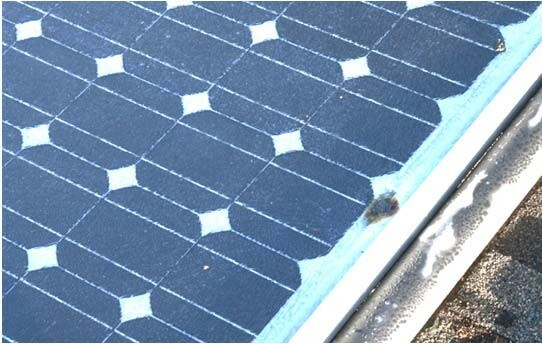 The panels were sold through various distributors and retailers, including but not limited to Solar Depot and Home Depot. On December 22, 2016, the Court approved the $45.33 million Common Fund to pay for the removal and replacement of a subset of Class Panels (Category 1), and to pay administration, attorneys’ fees and costs, and Class Representative awards. The Court also approved the separate $20 million Claims Made Fund for the remaining Class Panels (Category 2), which have a lower failure rate. Category 2 claimants will be entitled to a free visual inspection to identify any failed panels, replacement of failed panels, replacement of all panels if over 20% of panels have failed and, if not all panels are replaced, a free inverter with arc fault detection. Nonresidential class members with 400 or more Class Panels will be invited to commercial negotiations. Complete details are found in the Settlement Agreement and in the Long Form Notice. You must file a claim to receive benefits. You can file a claim online or call 1-844-360-2767 to request a claim form be sent to you. Category 1 claims will be paid until the Fund is spent. Category 2 claims will last for three years after it starts or until the $20 million fund is spent. If you wanted to keep your right to sue the Defendants yourself, you must have excluded yourself from the Settlement Class by November 28, 2016. If you excluded yourself, you will not receive benefits from the Settlement. If you stayed in the Settlement Class, you could have objected to the Settlement by November 28, 2016, and you or your lawyer could have appeared at the hearing at your own expense. If you did nothing, you will not receive any benefits but you will still be bound by the Court’s decisions. At the hearing on December 22, 2016, the Court approved the Settlement and Class Counsel's request for attorneys’ fees and expenses. The motion for attorneys’ fees and costs and class representative service awards, and the Court's orders, are available on the Court Documents page. Copyright © 2016 JND. All rights reserved.